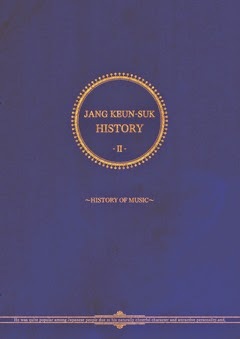 The Eels Family: [News] HISTORY DVDⅠ ~ Ⅲ of Jang Keun Suk will released on March 18. Contents that included their artwork now announced! 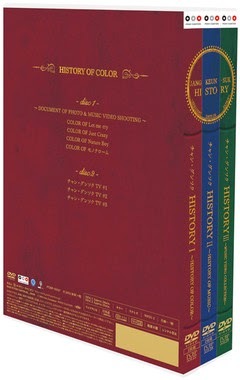 [News] HISTORY DVDⅠ ~ Ⅲ of Jang Keun Suk will released on March 18. Contents that included their artwork now announced! Artwork is stuffed dictionary-style design the trajectory of the past, has become the spine to become one of the picture when align all Ⅰ ~ Ⅲ. "JANG KEUN-SUK HISTORY Ⅰ ~ HISTORY OF COLOR ~" includes documentary footage from debut song “Let me cry" on the backside of the cover photos • MV shooting up to the latest album "Monochrome", "JANG KEUN-SUK HISTORY Ⅱ ~ HISTORY OF MUSIC ~" includes also "Let me cry" in the documentary footage to approach on the backside of recording of up to "Monochrome" invaluable footage that includes unpublished a video. 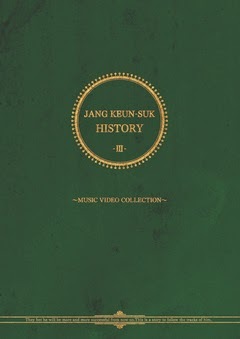 And "JANG KEUN-SUK HISTORY Ⅲ ~ MUSIC VIDEO COLLECTION ~" is a music video collection, the full version of "Turn Off", Live version of the music video of "Nature Boy" and "Indian Summer". Further, the DISC2 of HISTORY Ⅰ will include the video "Jang Keun Suk TV" broadcast during the release of Nature Boy, and to DISC2 of HISTORY Ⅱ the live recording of “Nature Boy Birthday Count Down 2013.5.28@Zepp Tokyo". Including valuable footage that captures the real face of Jang Keun Suk will help you to look back on his trajectory up to now. ※On video, there may which a distorted part of the audio, but it was due to the original master recording. Please note. ※ The photograph of the back cover is a representative view.